Precision technicians can quickly and professionally diagnose and repair all major brands and styles of commerical openers. Commercial door openers are a common requirement in many business applications. Operators add convenience, save time, and lower the risk of injury compared to a manually operated door or security gates and grilles. Remote controllers, to open or close your doors, are available for most types of roll-up door, gate, or parking lot security. These automations are reliable and help insure your convenience and security. Commercial sites have needs that are very different from residential applications – frequency of use being the most common difference. 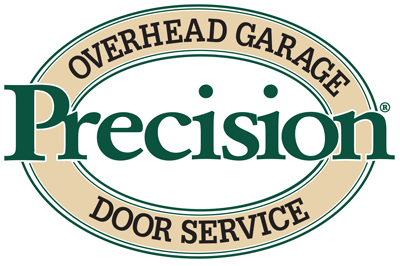 Whereas the typical garage door opener may only be used a few times daily, a commercial opener may be used several times an hour. With this heavy industrial usage in mind, reliability, strength and durability are key considerations. Your Precision professional can assess precisely what you need and install a reliable system your business can count on for many years to come. Operators can be controlled in a variety of ways. Options range from simple push buttons to combination keypads, wireless remote controls, card access, and sensors that detect vehicles, smoke or fire. We specialize in ADA "Push to Open" Doors. Rely on Precisions' Commercial Division to repair or maintain your Businesses Operators and Access Controls.